‍Concord, NH - Last evening, during a candidate forum, state senate candidate Jon Morgan raised suspicion that he does not meet the residency threshold articulated in the constitutionally-mandated requirement of seven years. 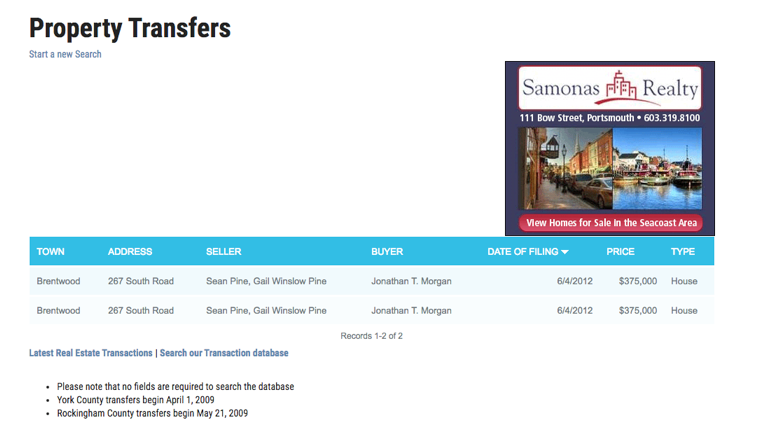 Jon Morgan moved into New Hampshire in June of 2012. Previously, Jon Morgan remained on the Commonwealth of Virginia voter rolls throughout 2012; as a resident of 1517 28th St. S, Apt 2, Arlington, VA.
Morgan voted in the 2006 and 2008 general elections in Virginia. Morgan voted in the 2012 general election in his new residence of New Hampshire.